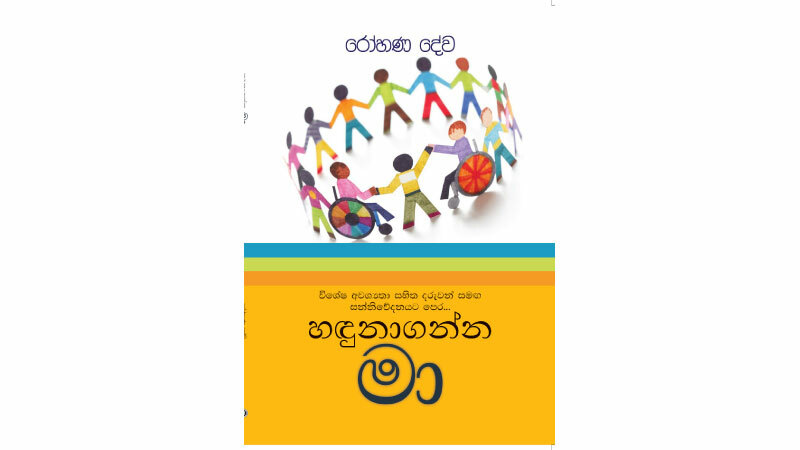 Handunaganna Ma (Sarasavi 2018) denoting a wide interpretation that goes as ‘Identify Me’ as written by Rohana Deva Perera encompasses a wide range of resource material on the subject of understanding the group of humans known as disabled or differently abled is skilled as a teacher and a researcher in the area of special education. Rohana Deva tries to approach the subject from a creative understanding laying down medical and psychological material in the simplest possible manner. Rohana Deva and his wife, Ramani Damayanthi, have been instrumental in the founding of a school for the disabled young girls and boys over a period of three decades. The school is known by the acronym: Thidora (Theatre Institute for Disability Oriented Research and Advocacy). Both of them had gained experiences at home and abroad in the field of creative communication with emphasis on disability-oriented individuals. They happened to learn quite a number of learning and teaching factors as taught at West London College of Theatre in Hammersmith and Amici Dance Theatre Group and in various other places. Having come to Sri Lanka, they managed to form their own theatre group laying more emphasis on disabled children. In this manner, I find that the husband and wife have quite a rich repository of material collected over the years that go into the making of a resourceful Sinhala booklet on the subject. At the outset, the book triggers off with the opening chapter on the different forms of communication with a subtitle: Exchange of mutually understood symbols’. The writer attempts to cover aspects of areas such as intrapersonal communication, interpersonal communication, group communication and mass communication. These areas help the reader, supposedly the teacher, with the opportunity of perceiving the fact that they lay embedded in human behaviour patterns. Rohana Deva tries as far as possible to visualise the need to understand the behaviour patterns in order to proceed for the teaching for those known as individuals possessing physical and mental disorders. From here onwards, he embarks on the first step in special education titled as ‘Sensory Motor Function’. This concept is related as an extension of the human communication patterns as normally observed. He grades them into three groups that go as Sensory Registration (SR) Sensory Modulation (SM) and Sensory Integration (SI). Each of these areas is further interpreted by way of diagrams and examples drawn from behaviour. A reader may not feel tired on the exemplification as they carry examples in the simplest possible clarity of expression. This leads to the understanding of the much-discussed syndrome known to the world of medicine as autism. Though many books have been written on the subject area, the explanations in the work are laid down as sensitive observational notes of a creative artiste. In these findings, a number of types of autistic behaviour are underlined as additional findings. As a reader, I found that they look more like case studies on individuals kept over the years for research purpose. The chapter titled as attention-deficit / hyperactivity disorder (AD/HD) is an extension of the previous material treated from a different point of view. These materials give way to the sensitive understanding of the need to pay attention to taboos and prohibitions laid down as don’ts and dos on the part of adults on the behaviour of small and adolescent in various families. Furthermore, a teacher of special education may have to pay heed to a child in a milder manner. The chapter titled ‘Learning Disability’ underlines some of the salient points so far discovered in the field of mentally handicapped individuals. Retaining some of the social ethics, the learned writer goes on to explore the chief factors such as disability due to genetic inheritance. A second factor is found as accidents occurred during the pregnancy of the mother. Then there are several other factors such as the undergrowth of a child since seeing the light of the day. A child could be seen as possessing a good hearing and good seeing. Yet, he or she may not grow up mentally due to various other reasons yet to be discovered by researchers in the field. But the most important factor is determined as hidden or latent skills of a child since birth. This is the skill that should be discovered by the teacher of special education. Followed by the explanation of the various types of mental retardation, the writer tries to explore the concept of the gifted child denoted as special skills possessed by the children when growing up stages. 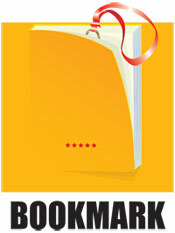 In order to clarify the meanings attributed the writer present several case studies, which the reader feels closer to come into groups with the subject. He states that some children could be discerned as gifted as a result of the questions they ask in order to develop their skills. In this direction, some are gifted of technology knowledge, some of painting, dancing and theatre arts. Some become good imitators in the learning process. This is nothing but a gift. Some gifted children are seen becoming geniuses on growing, up to the adult stage of their lives. This factor is presented in the presentation of several profiles of persons such as Helen Keller, Einstein and Edison. Approaching the theatrical techniques such as teaching methods, the writer helps the reader to an exposition into the use of theatre arts such as therapy and the effect of dancing and music as amalgamated uses. All in all Handunaganna Ma is a text that could be recommended for general reading as well as a resource to the special education.